Business View Magazine interviews Natasha Kauffman, Elkhart County Redevelopment Program Coordinator, for our focus on Community Development in U.S. Cities. Welcome to Elkhart County, Indiana – a friendly, hometown community in the heart of Amish country. RV Capital of the World, headquarters to international corporations, and champion of innovation, Elkhart County has much to offer. Recreational vehicles, boats, musical instruments, and, most recently, laser cutting machines, are just a sampling of products made here. A strong network of supply industries, teamed with low business costs, great access to skilled labor, and no shortage of visionaries encourage the entrepreneurial spirit to thrive. Elkhart County, Indiana is home to a diverse industry base, with manufacturing comprising 38 percent of the workforce. There are nearly 1,000 manufacturing companies in 14 different categories. Currently, the county has 60-plus buildings of over 30,000 sq. ft. Each, available (the largest is 425,000 sf). In addition, there are close to 20 properties from 13 acres to 173 acres, and parcels in five industrial parks. Transportation-wise, Elkhart lies in the path between Chicago and the East Coast and is well served by major highways and railroads. Its railroad switching yards are the world’s second largest freight classification yards and the I-80/90 has four exits accessing the County. 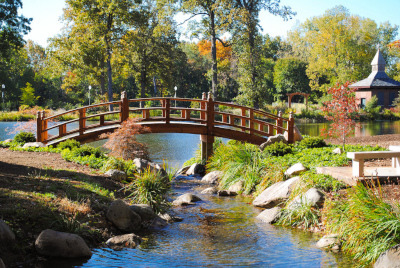 Elkhart County, Indiana’s proximity to the beautiful St. Joseph and Elkhart rivers, a multitude of lakes, and Lake Michigan’s beaches (only an hour away) is a definite draw for residents and visitors looking to indulge in water activities. Hiking trails, golf courses, botanical gardens, and a plethora of parks satisfy those who want to relax and connect with nature. 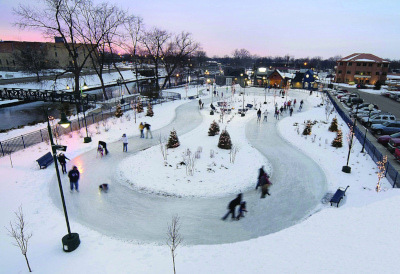 Natasha Kauffmann, Elkhart County Redevelopment Program Coordinator, describes the County as “a mix of urban and rural,” in the sense that it encompasses two major cities – Elkhart City and Goshen, the County seat. Folks who grew up here knew farming – mostly vegetables and cattle – and were acquainted with the strong presence of industrial factories, all of which are still relevant in the area today. Those things set Elkhart County, Indiana in a unique situation. Being closely tied to the RV industry, it has seen a lot of flux in the past. The County took a hard hit in the 2008 recession and was the first city President Obama visited after becoming president in 2009. 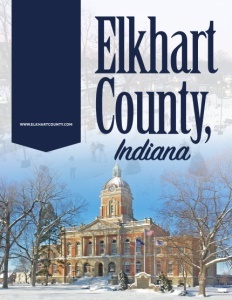 On the flip side, Elkhart County, Indiana was also one of the first counties to pick up after the economy became strong. The focus is now on mitigating that economic roller-coaster ride by expanding out from the pre-existing businesses in new directions. One prime example is a company that, before 2008, primarily made windshields for RVs. It still does, but it has since diversified into creating glass products for skyscrapers, homes, and other construction purposes. That division now accounts for over 50 percent of its business. The RV industry continues to be a major driver in the area, so peaks and lows are bound to happen, but the hope is it won’t have such a dramatic impact on the community as in the past. With the development that follows that trend of industrial diversity, the Elkhart County Redevelopment Commission (RDC) is busy figuring out when their dollars should go to support long-standing businesses in the community, like Winnebago, and when to focus the financial support on other key initiatives; such as bringing in a new medical facility, or starting an innovation hub in the area. Those types of questions are challenging and unique to Elkhart, because of the valuable and extensive RV industry presence. One proper redevelopment project the Elkhart County RDC has undertaken is the Prairie Creek Run Utility Project. The Prairie Creek Run neighborhood is a carved-out space under County jurisdiction surrounded by the Elkhart City municipality. It’s a world that’s not really country, but has that country feel. The neighborhood has serious need for planned utilities since the homes are small, very close together, and currently dependent on decaying septic systems and well water. In 2015, the neighborhood became part of the County’s profitable Northeast Corridor Tax Increment Financing (TIF) District. As this TIF District specifically focuses on the major corridors of County Roads 6 and 17, the area has benefited from a lot of commercial and road development over the past few years. Unfortunately, flooding often occurs on the creek and it’s one of the reasons Lilac St., particularly, had very bad water conditions. The wells and systems at the back end of houses on that street suffered from cross-contamination and runoff that resulted in the homes having black water issues for many years. Black water looks clear in a glass but has black sediment that makes the water cloudy when you shake it up. It’s not good for drinking. That was the first area in the neighborhood where the RDC decided to replace utilities. Ten houses were included in the project and eight of the ten ended up choosing to connect. One reason the Redevelopment Commission is trying to expedite the project is that the septic systems and wells are coming to the end of their life and will soon start to fail. Phase Three is probably three years out, and Phase Two will also be a while in coming to fruition, because of the time involved in getting approvals necessary for engineering and construction, and then approval for the funding for construction. All these steps take longer than the County and the RDC would like, but they are required to go through the process. Check out this handpicked feature on Holmes County, Florida – There’s no place like Holmes.